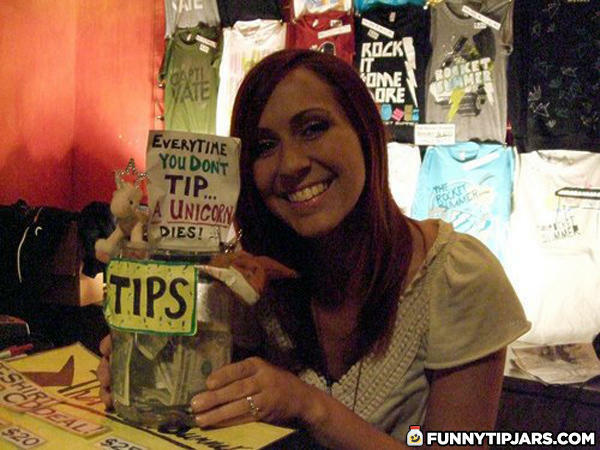 Thats why theres no more unicorns. nobody tips in a clothes store. I'd never tip because of that sign.